After introducing new "Emad" missile, Iran conducts ballistic missile tests in violation of Iran nuclear deal, US ban, and UN resolutions. 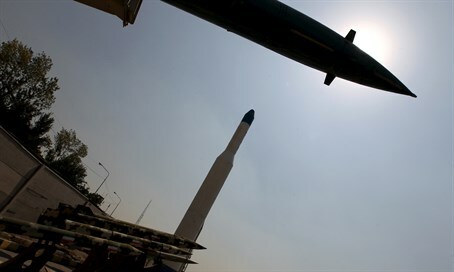 Iranian state news announced on Tuesday that Iran’s military had conducted a series of ballistic missile tests. The Islamic Republic is prohibited from developing new ballistic missile systems and the US in January declared a new set of sanctions targeting Iranian missile programs. Last year’s nuclear deal also restricts Iran’s ability to acquire ballistic missiles, as does United Nations Security Council Resolution 2231. None of these restrictions, however, have stopped the Iranian regime from aggressively pursuing missile programs including purchases of Russian S-300 and S-400 heavy surface-to-air missiles and the development of new domestically-produced ballistic missiles. Last month the Iranian Defense Ministry announced that the Emad (“Pillar”) intermediate range ballistic missile system was entering mass production. The Emad missile, which was initially tested in October of last year, drew condemnation from the United States. Capable of carrying a nuclear warhead, the Emad missile has a range of 1,700 kilometers, giving the Iranian regime the ability to strike Israel. This latest set of missile tests is the first Iran has undertaken since the introduction of new sanctions targeting Iran following tests in October.